I beg your pardon, readers. 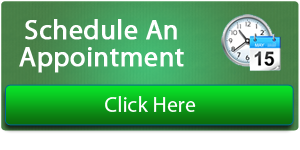 I am positive that most of you already know the expression “to schedule an appointment”. However, for those who don’t, my piece of advice is the following: try to use this expression every time you can. No other expression makes you seem more American, or more busy, or more well-connected. I’d say this expression is the essence of the American spirit, because of its implications of pragmatism, commitment, and hard-work. Let see together its meaning and some use examples. “To schedule” means to set a timetable for something, such as a meeting, an event, an appointment and so on. It is clearly a verb belonging to the semantic field of work and business. As a noun, “schedule” is equivalent to “agenda”. It could be a businessman‘s schedule, which includes a trip to Toronto on Saturday at 3:00PM, Mark Zuckerberg‘s schedule, which includes chairing the Facebook Inc. board every Wednesday, Meryl Streep‘s schedule, which includes the 87th Academy Award ceremony in a month, or could be mine schedule, which includes a coffee break three times a day. The first time I came in the United States, I found this verb very helpful to create a connection with American people. If you say “to schedule” to them, they will immediately understand what you mean, because they’ve heard this word since – I imagine – childhood. Everyone in the United States schedule appointments, meetings, interviews, or conference calls. The more you schedule, the more you seem important. Therefore… let’s schedule with enthusiasm! I am getting in touch with you to schedule a meeting. We can schedule as soon as possible. Could we schedule for tomorrow? Yes, the hairdresser appointment is scheduled at 5 o’ clock. All these sentences could be used also in e-mail writing. My readers who like to travel have surely noticed this word in every U. S. airport. When a flight is on time, the expression “On Schedule” appears on the screens. I guess that, from an American point of view, if a thing is scheduled, that thing is good.